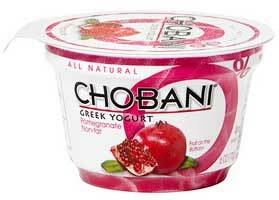 During last year’s Super Bowl, Chobani and its ad agency Droga5 told us that “how matters.” It was a brilliant Chipotle-style CSR call-to-arms that led, in part, to speculation that the company will soon go public. Now author/ethics consultant Dov Seidman and his lawyers want to make that filing process a bit more difficult. Interestingly, Seidman’s company LRN retweeted the message above before declaring it to be lawsuit-worthy. A little extra explanation after the jump. This is a bit tricky, isn’t it? While Seidman hasn’t trademarked the phrase “how matters”, he has trademarked the word “how”, which just happens to appear very close to its partner “matters” in his tagline. The tweet does make Chobani’s statement seem a bit disingenuous, but for the record we have to agree with the company: the very concept of claiming sole rights to a series of two words, used together in order, is the sort of thing that gives the legal profession a less-than-ideal reputation.